Many websites misrepresent Asoro as a general, although Egharevba referred to him only as "a brave servant of the Oba." All Benin generals were chiefs, although courageous and skilled warriors of lesser rank could find their status elevated after a war. Asoro may likely have been a member of the Isienmwenro guild, the royal bodyguard prepared to defend the Oba through both actual and supernatural weapons. The guild was housed along Sakponba Road, and this is where Asoro and his men took a stand against the British contingent coming to Benin via Sakponba village along the Jamieson Road. They held off this force for a considerable time, but Asoro ultimately fell in battle. The second, main British force approached through Ologbo, while the third was stopped at Ughtoton. 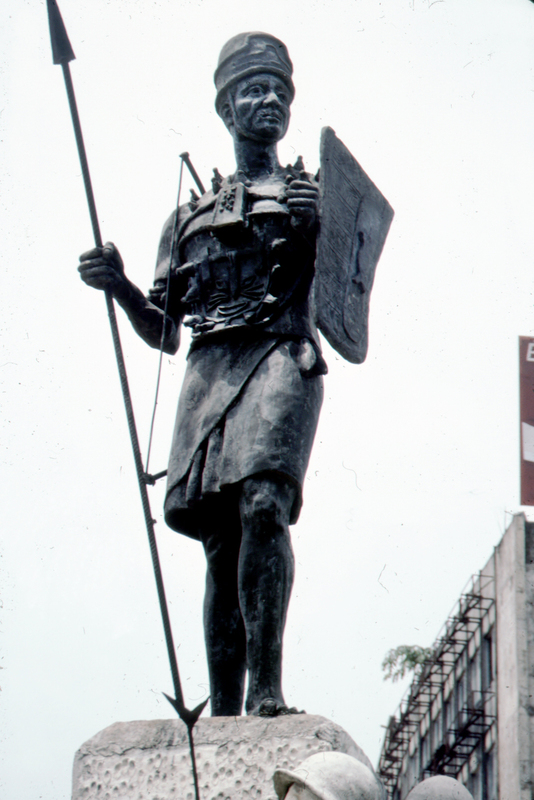 Appropriately, Asoro's statue is erected where Sakponba Road enters Ring Road.